Self-defense or defense of others is a valid defense against murder charges. As long your actions were reasonable under certain circumstances, you can be found not guilty of murder. You can speak to a murder attorney at Wallin & Klarich today for immediate answers to your questions. You used no more force than was necessary to defend yourself or someone else against the danger. California Criminal Code section 3470 is California’s version of a “Stand Your Ground” law. This means you are entitled to stand your ground and defend yourself or another person; if reasonably necessary, to pursue an assailant until the danger of death or great bodily injury has passed. This is so even if safety could have been achieved by retreating. When deciding whether your beliefs were “reasonable,” the judge or jury will consider all of the circumstances as they were known to you and consider what a reasonable person in a similar situation with similar knowledge would have believed. If the defendant’s beliefs were reasonable, the danger does not need to have actually existed. Only a fear of imminent danger is required. The People have the burden of proving beyond a reasonable doubt that you did not act in lawful self-defense or defense of another. If the prosecution does not meet this burden, you cannot be legally convicted of murder. Whether you can distinguish between right and wrong. Although insanity is a valid defense against murder charges, you should consult with an experienced criminal defense attorney before relying on the insanity defense. Without the advice of skilled counsel, the repercussions of using the insanity defense can be severe. If you believe the insanity defense may apply to your case, contact a murder attorney at Wallin & Klarich today. If you were mistakenly identified as the perpetrator of a murder by law enforcement, you may have a valid defense against murder charges if you have an alibi. “Alibi” is a defense you may use if you can prove you were elsewhere at the time the alleged offense was committed. Forensic evidence, such as DNA, fingerprints and other physical evidence may be used to establish an alibi, as well as the testimony from witnesses who can say that you were somewhere else at the time of the death of the alleged victim to the murder. Did the peace office fail to execute a lawful search or seizure of you, your car, your home, your property or place of business? Additionally, if law enforcement agents failed to execute a lawful search and seizure of you, your car, your home or place of business, or your property, your attorney may be able to file a Motion to Suppress Evidence pursuant to Penal Code Section 1538.5. If your attorney is able to successfully argue the motion, the evidence seized must be excluded from trial. This may lead to the charges against you being reduced significantly or dismissed altogether by the prosecution. Contact a murder attorney at Wallin & Klarich today for further information. If the circumstances of the case make an intended crime impossible to complete, the crime is considered “factually impossible” and you may have a valid defense. For example, you cannot murder a person who is already dead. That is a factual impossibility. If applicable, an experienced criminal defense lawyer may raise the factual impossibility defense which could prompt the prosecution to reduce charges from murder to attempted murder. A murder conviction requires that you caused the death of another with malice aforethought. If you lacked the malicious intent to kill, you may have a valid defense against murder charges. If none of the three elements listed above can be proven, you cannot be found guilty of committing murder. The murder charge against you could be reduced to voluntary or involuntary manslaughter or dismissed altogether. However, if you acted recklessly, murder charges may nonetheless stand even if the killing was accidental. Are you or a loved one facing murder charges? The killing was committed without the intent to kill or act with a conscious disregard for human life. If your criminal defense lawyer is successful at presenting a defense of accidental killing in the heat of passion, your charges could be reduced to voluntary manslaughter and you could face much less time in custody compared to a felony conviction for murder as a result. For example, if a husband comes home to find his wife sleeping with another man and kills both his wife and the man in a jealous rage, the husband could face voluntary manslaughter rather that second-degree murder. Thus, it is important that you speak to a murder attorney at Wallin & Klarich today. The killing was reasonable and necessary under the circumstances. 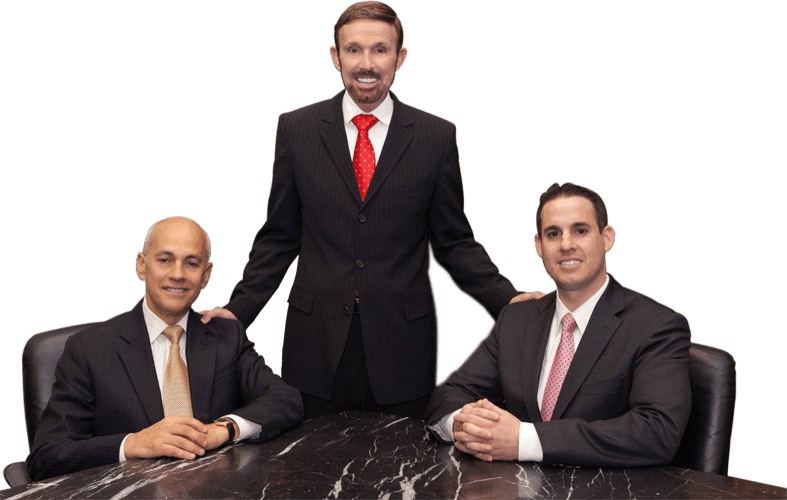 The Wallin & Klarich team of criminal defense lawyers has over 30 years of experience crafting successful defenses against murder charges that have won many clients their freedom. If you or a loved one has been accused of committing murder, you must contact one of our highly experienced attorneys right away. With offices in Orange County, Los Angeles, Torrance, Sherman Oaks, San Diego, Riverside, San Bernardino, Ventura, West Covina and Victorville, Wallin & Klarich has over 30 years of experience and possesses an extensive legal background to aggressively and successfully defend you. We will help guide you through all of your available defenses and help you get the best possible result in your case. Contact us at (877) 4-NO-JAIL (466-5245) for a free telephone consultation.